Lisa is co-founder of Build A Menu, an online menu planning website that helps families get their grocery bill under control and helps them to bring “dinner back to the table”. She is known as the "Queen of Meal Time Makeovers". She is an advocate for family nutrition, savvy grocery shopping and family dinners. 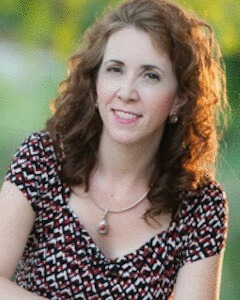 Lisa is a published writer and speaker and has a bachelor of science in Child and Family Development. She is a strong advocate for family meal time, having spent many hours researching the positive effects and benefits of families that eat meals together as well as the negative effects not eating together as a family can have on children and teens. She and her husband Will, have six children (her oldest two children are married and have babies of their own) and live near Austin, Texas with their four boys ages 9-19. She and Will adopted their youngest two boys through the Texas foster care system. Because adoption is so important to them, Build A Menu gives a portion of all its proceeds to adoption care ministries from around the world. Lisa often finds that living in a house full of boys means she’d better be ahead of the game when it comes to planning dinner since they’re almost always hungry! They are quite happy to be one of Build A Menu’s test kitchens. So You’re Thinking About Adopting?